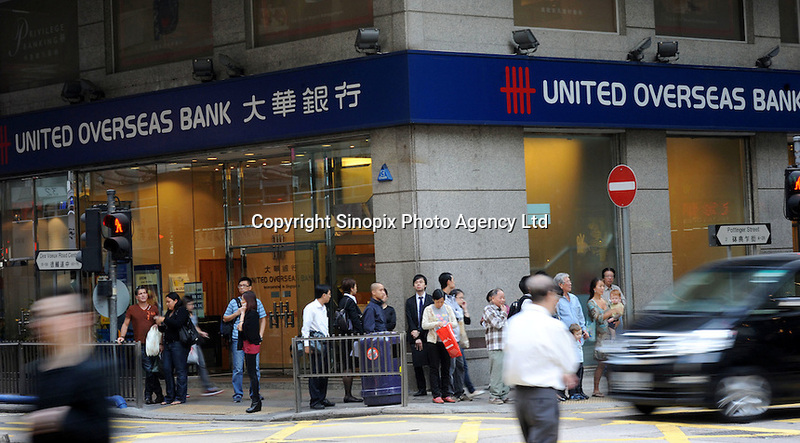 Pedestrians across the street where can see a United Overseas Bank (UOB) situated at the corner, Hong Kong, China. UOB has grown with Singapore over the past 73 years, is a leading bank in Singapore. Today, it has a network of over 500 offices in 18 countries and provides a wide range of financial services through its global network of branches and associates. In Hong Kong, UOB has six branches across the territory with a staff strength of more than 200..